Hang out with Hello Kitty on your wall! 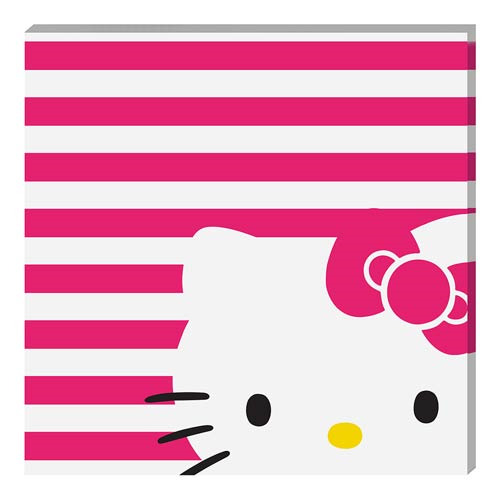 This Hello Kitty Small Stretched Canvas Print will look great on your bedroom or living room wall. It features the face of Sanrio's adorable Hello Kitty on a pink and white striped background! Measures 6-inches tall x 6-inches wide.